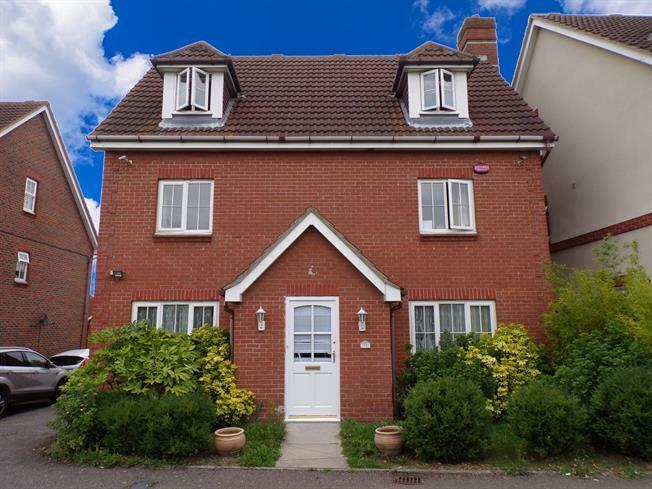 6 Bedroom Detached House For Sale in Grays for Offers in the region of £600,000. FEATURED IN THE BIG OPEN HOUSE! Offering a unique opportunity with versatile accommodation this executive style five bedroom detached house with a one bedroom annexe complete with bedroom, kitchenette and en-suite with a private front garden exclusive to the property overlooking The Gorge on a separate deed. Set across three floors the ground floor accommodation comprises of an entrance hall, fitted kitchen, lounge and separate dining room. To the first floor there are three further bedrooms with two en-suites and a three piece family bathroom suite. To the second floor there are two more bedrooms with an additional en-suite. Positioned in a Cul-de-sac location which has stunning panoramic views of the Warren Gorge Nature Reserve. The property provides substantial accommodation and includes a newly fitted boiler. An internal viewing is strongly advised.